Espero que tenham aproveitado o fim-de-semana para recarregar energias! Eu aproveitei! 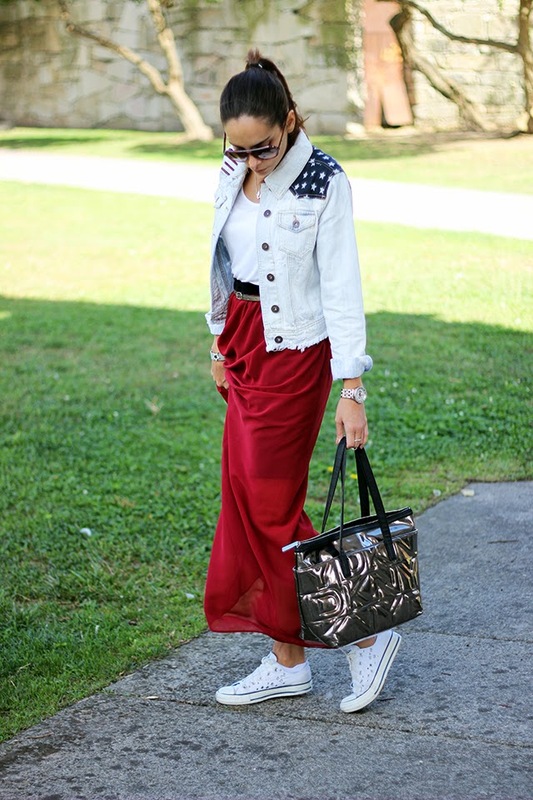 I love you in this maxi skirt and sneakers! Looking absolutely lovely, as per usual :)! You're so beautiful! 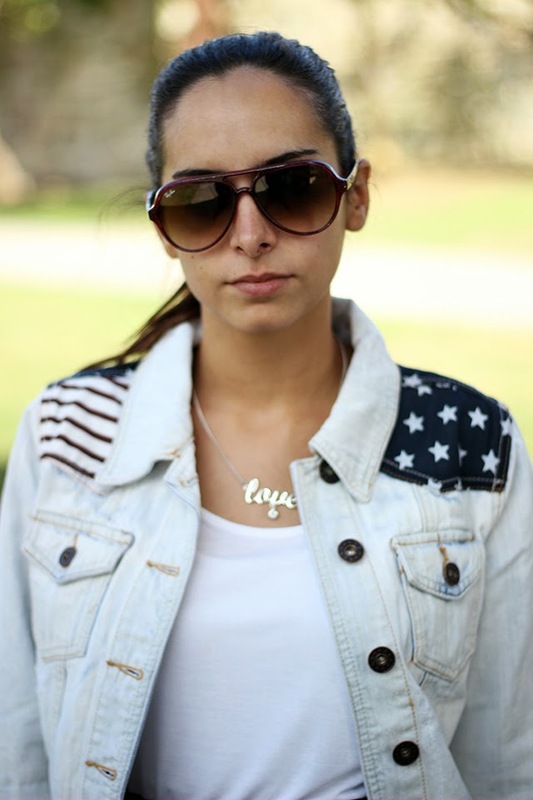 I love your denim jacket! A saia tem uma cor linda e o colar é super fofo! have a nice week, shall we follow? i love this. not too dressy, not too casual.. just perf! Absolutely beautiful outfit. 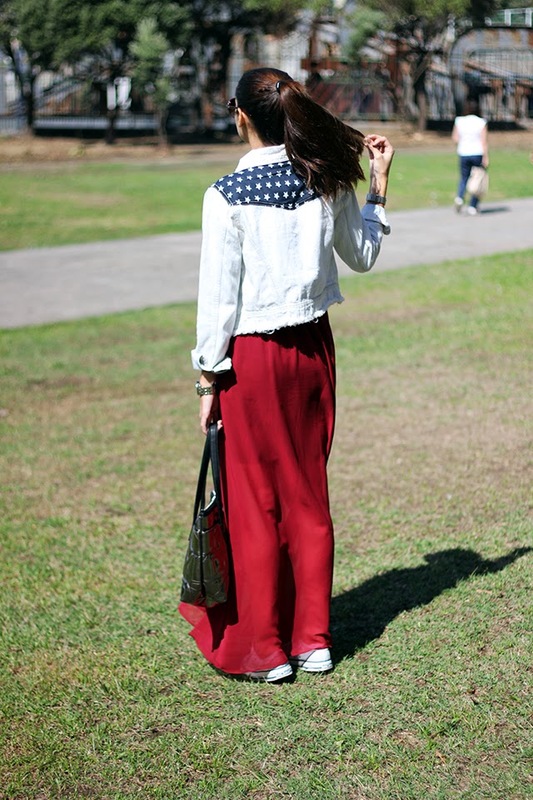 Would be a perfect 4th of July look too. It so stylish and chic. You would never guess it comfy too. I need that skirt too. Wish you a happy Monday sweetheart! Haha love the jacket. Being a US citizen, I feel like Americans sometimes go a bit overboard with the patriotism (not that there's anything wrong with that) and I try to stay away from wearing flag colors but that jacket is perfect! The flag part is understated but rustic, casual. It looks amazing paired with your maxi skirt! And the color of your skirt is the perfect rich, autumnal hue! Love this look!! 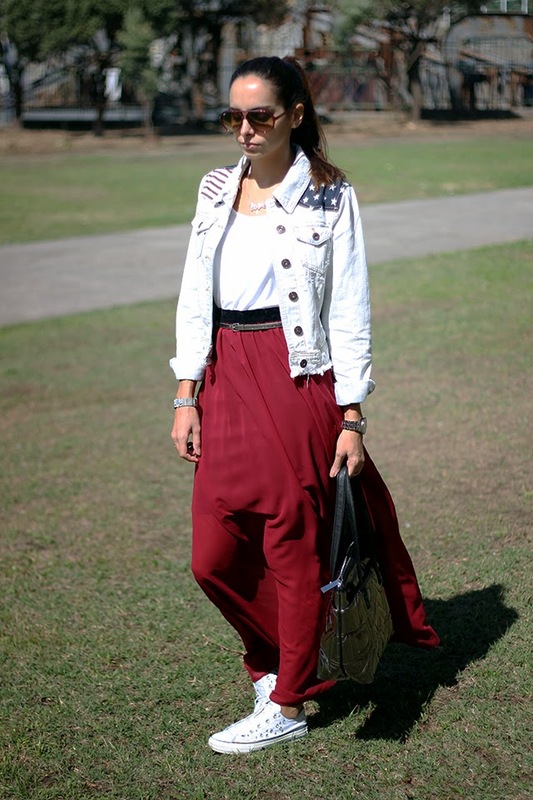 fantastic casual outfit, that maxi looks great with those sneakers...and I really like the jacket. 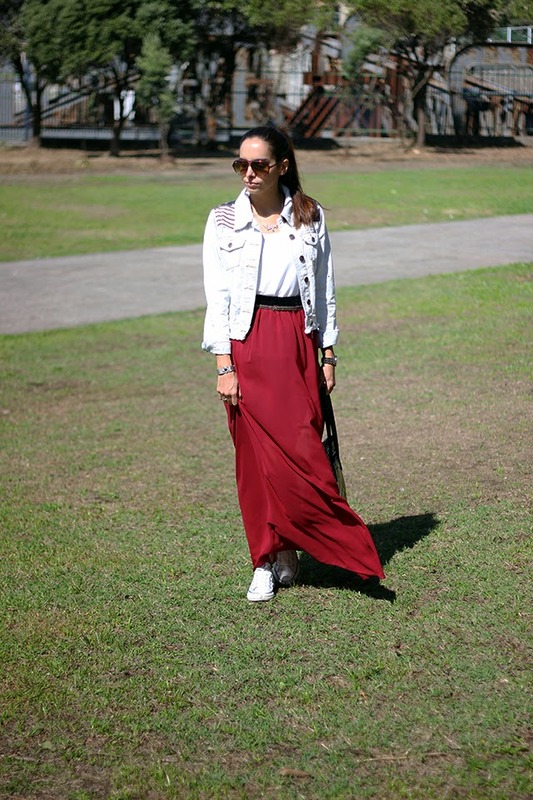 Amazing maxi skirt, also the color is special! Un look genial, vas muy guapa. Me encantan la cazadora, muy original. Te espero en mi blog, pásate a ver el nuevo post. 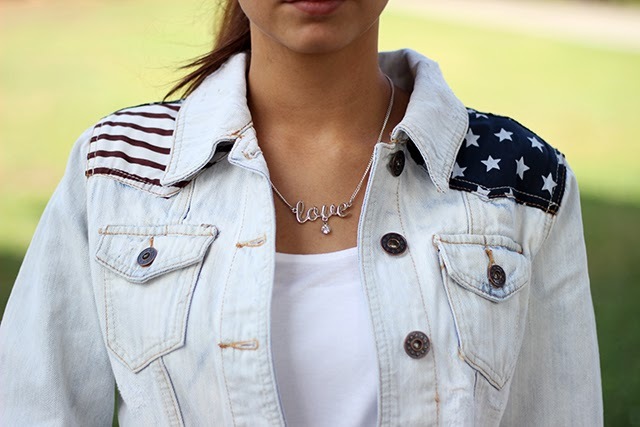 awesome jean jacket, such cool details on the shoulder. wow adorei tanto! A mala é super gira, e o conjunto todo fica mesmo muito giro e original! Looking great, I love the skirt! Tão gira! Gostei muito das cores. Fico feliz por teres gostado! Adoro o conjunto. o casaco é lindo e a cor da saia também! Obrigado. =) Devo dizer que estás muito gira, mas eu pessoalmente não me identifico nada com este estilo. Linda! Adoro, adoro, adoro este look!